If you haven’t yet heard, the Supreme Court upheld the FTC’s antitrust action against North Carolina’s state dental board. And I think they did a good job with the opinion. We wrote an amicus brief in this case and I have been studying these issues for years, so let me tell you some of my thoughts. Justice Anthony Kennedy wrote the Court’s majority opinion and Justice Samuel Alito filed a dissent, which Justices Antonin Scalia and Clarence Thomas joined. You can read a brief summary of the case here, but here is nutshell: The North Carolina dental board, consisting mostly of practicing dentists, took certain actions to keep non-dentists from offering teeth-whitening services in North Carolina. Noticing the blatant anticompetitive conduct, the FTC sued them under the federal antitrust laws. The issue at the Supreme Court, however, wasn’t whether the conduct violated the antitrust laws or whether it was anticompetitive, which (in my view, the FTC’s view, and the Fourth Circuit’s view) it clearly was. 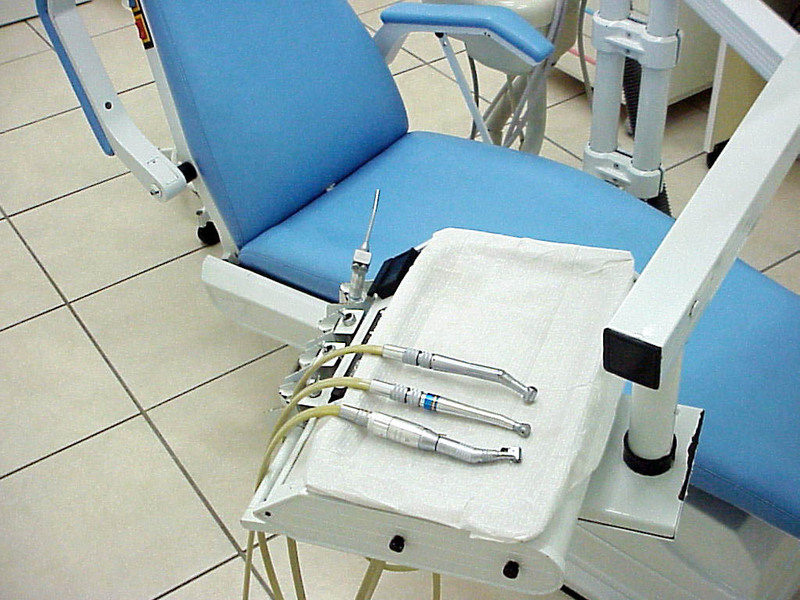 The issue was whether the North Carolina State Board of Dental Examiners can use what is called the State-Action-Immunity doctrine as a shield from federal antitrust law. To invoke state-action immunity (which is technically an exemption not an immunity), an entity must satisfy the Midcal test, which requires that it show (1) the state as a sovereign clearly articulated authority for the entity to engage in anticompetitive conduct; and (2) active supervision by the state as sovereign. Under prior case law, municipalities need only show the first requirement (we will discuss this point further below). The issue in NC Dental v. FTC (link to the Court’s opinion) was whether state licensing boards must demonstrate active supervision as well as the first prong—clear articulation. NC Dental didn’t show active supervision, so if they must do so under law, their state-action-immunity defense fails. And that is what happened. Significantly, the second line of Justice Kennedy’s opinion is “A majority of the board’s members are engaged in the active practice of the profession it regulates.” The opinion says a lot, but this core fact—competitors regulating competitors—is what ultimately matters. Here is another good line from the same paragraph of NC Dental: “The antitrust laws declare a considered and decisive prohibition by the Federal Government of cartels, price fixing and other combinations or practices that undermine the free market.” So Justice Kennedy—the Court’s libertarian?—sets a positive free-market foundation. There is, of course, a tension between the free-market policies of the federal antitrust laws and federalism. That, in fact, is what the state-action immunity doctrine is all about. Under federalism, “in some spheres [the States] impose restrictions on occupations, confer exclusive or shared rights to dominate a market, or otherwise limit competition to achieve public objectives.” So the Court’s task is to demarcate the line between the obligations of federal antitrust law and the states’ rights to depart from this free-market policy. You can read more about this tension between federal antitrust law and federalism in an article I wrote with Luke Wake for Competition. In that article, we argue that the Court should apply a market-participant exception to state-action immunity. That is, if a state or local government engages in commercial competition rather than regulation, it should not be able to invoke the state-action immunity shield; it must play by the same rules as other competitors. As an aside, you might notice the Court’s language in NC Dental distinguishing between regulation and market-participants. I certainly noticed it. In resolving the tension between federalism and federal antitrust law, the Court—as it did recently in Phoebe Putney—points out that state-action immunity, like other antitrust exemptions, is disfavored. “An entity may not invoke [state-action] immunity unless the actions in question are an exercise of the State’s sovereign power.” State legislation and state supreme court legislative actions—yes, there are some—are actions by the state as sovereign. But for any other type of conduct, the relevant entity must show that it is acting through the state in the state’s sovereign power. The state, for example, cannot merely delegate control over a market to a non-sovereign actor, public or private. This point is a big deal because not only is the Court expressing antitrust concern about trade associations (I do the same here), but it is elevating those same trade-association concerns to state licensing boards. It is recognizing the reality that just because a state board is a state board does not mean that it loses its anticompetitive nature. “[A]ctive market participants cannot be allowed to regulate their own markets free from antitrust accountability.” That, of course, is what is happening all over the country, including the legal profession, but perhaps most prominently in the medical profession (which is full of anticompetitive conduct). For entities to obtain state-action immunity—“especially those authorized by the State to regulate their own profession”—they must demonstrate “procedures that suffice to make it the State’s own.” In other words, they must demonstrate active state supervision by the state as a sovereign. This is quite important because the anticompetitive problem here is structural, not substantive. A group of competitors are telling other competitors whether or how they can compete. A court analyzing the anticompetitive and antitrust implications of this regulation is not going to look into whether the regulation is compelling from a substantive standpoint. So the fact that the regulation or action is based upon health, safety, or other concerns is not relevant to the antitrust inquiry. After elaborating on its active-state-supervision rationale, the Court turns to the fact that municipalities are excused from showing active state supervision. The Court is dancing around a little bit here. I don’t think the current court would flat out excuse municipalities, but they didn’t seem to want to overrule Hallie, which established the precedent. The Court’s discussion, however, is telling because it elaborates on some of its reasoning for requiring active supervision to certain state entities. This last line is particularly interesting because (1) the Court characterizes the Hallie exception as narrow; and (2) the Court makes it seem that a municipality that is controlled by an active market participant may be subject to the active-supervision prong of Midcal. The Supreme Court previously punted (in Phoebe Putney) on the issue of whether there is a general market-participant exception to state-action immunity (in direct response to an amicus brief I filed for the National Federation of Independent Business). But now the Court seems to suggest that, at the very least, a market participant municipality may be subject to the active state supervision requirement. Let’s watch to see how the lower courts develop this opening. What is Active State Supervision? When we prepared our amicus brief, we anticipated that the Court may seek to answer this question, so we included a specific section on it. The Court did, in fact, provide some guidance on the contents of active state supervision. It is flexible and context-dependent. It need not entail day-to-day involvement in an agency’s operations or micromanagement of its every decision. The issue is whether the State’s review mechanisms provide “realistic assurances”—formal rubber stamping is not sufficient—that a non-sovereign actor’s anticompetitive conduct promotes state policy rather than merely the party’s individual interests. The state supervisor may not itself be an active market participant. You might enjoy our subsequent article on what active supervision means. This is a fascinating—though not surprising—decision that should positively impact competition. In my view, the biggest implication of this case is on state licensing boards—which are often dominated by industry associations—that take actions to limit the ability of members of other professions or industries to compete with them. This happens a lot. If the professionals on state boards don’t stop using their public positions to harm their competitors, they should prepare for antitrust litigation.